Penang is a state in Malaysia and the name of its constituent island, located on the northwest coast of Peninsular Malaysia by the Strait of Malacca. 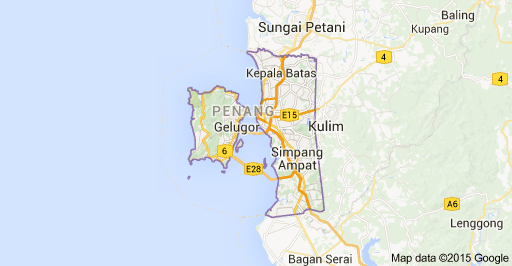 The island of Penang is called Penang Island or Penang City. Penang state is bordered by Kedah in the north and east, and Perak in the south. It is composed of two parts — Penang Island, where the seat of government is, and Seberang Perai (formerly Province Wellesleyin English) on the Malay Peninsula. Highly urbanised and industrialised Penang is one of the most developed and economically important states in the country, as well as a thriving tourist destination. Penang has the third-highest Human Development Index in Malaysia, after the state of Selangor and the federal territory of Kuala Lumpur. Its heterogeneous population is highly diverse in ethnicity, culture, language, and religion. A resident of Penang is colloquially known as a Penangite.